This month, after more than two decades of cynicism and derision by many in the mainstream medical community, the peer-reviewed medical journal of the North American Menopause Society, Menopause, has published a study that unequivocally shows the hormone progesterone is well absorbed after application to the skin. The well designed study by US researchers examined the distribution of progesterone in whole blood, serum, fingertip capillary blood, and saliva after application of both progesterone cream and gel in menopausal women. Critics of progesterone creams have always adopted the fall back position that because whole blood and serum progesterone levels do not rise post the application of progesterone creams that it isn’t absorbed. 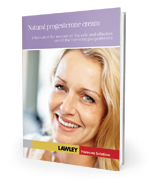 Supporters of progesterone cream have long-argued that supplemented progesterone is preferentially absorbed into cellular tissue and that saliva and capillary blood is more reflective of progesterone absorption. This study established a number of very significant principles and in doing so debunked a number of misconceptions and myths about progesterone cream. Fact 2: After application of topical progesterone, saliva and capillary blood levels are approximately 10-fold and 100-fold greater, respectively, than those seen in serum or whole blood. Fact 3: Progesterone levels in whole blood are less than progesterone levels in serum following topical progesterone application. Fact 6: Measuring whole blood or serum for progesterone levels will not reflect the true progesterone status of patients using topical progesterone. Progesterone cream critics now need to eat humble pie – they have long argued “show me the science” The science is now there and it’s rock solid. No longer should women be denied treatment with topical progesterone based upon the argument that “it’s not absorbed”. The authors conclude “topical progesterone is well absorbed and should be reconsidered as an effective means of treating clinical conditions that respond favorably to progestogens”. The authors plan a future study to determine this. One Response to Unequivocal proof that progesterone cream is absorbed by the skin – critics silenced by science. I cycle BHRT and the women don’t get menses or even mild withdrawal bleeding unless the serum progesterone levels reach a certain level. I am therefore not comfortable with topical progesterone creams unless they are used 3 weeks a month by themselves [ no estrogen component]. They often do seem to provide significant symptom relief from PMS and perimenopause.